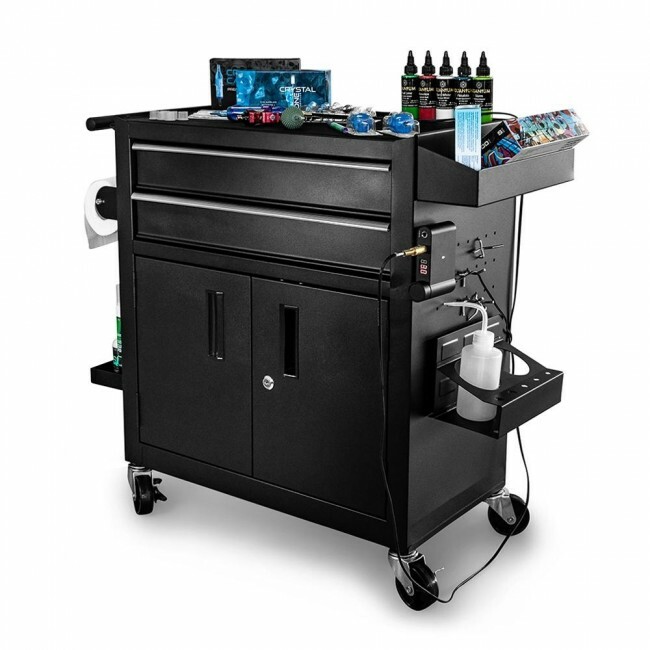 The Professional PRO Workstation is an addition to our "in house" brand 'Professional'. Next to the Professional Client and Artist chairs and stools we offer an extensive workstation in a sturdy, matte black version. 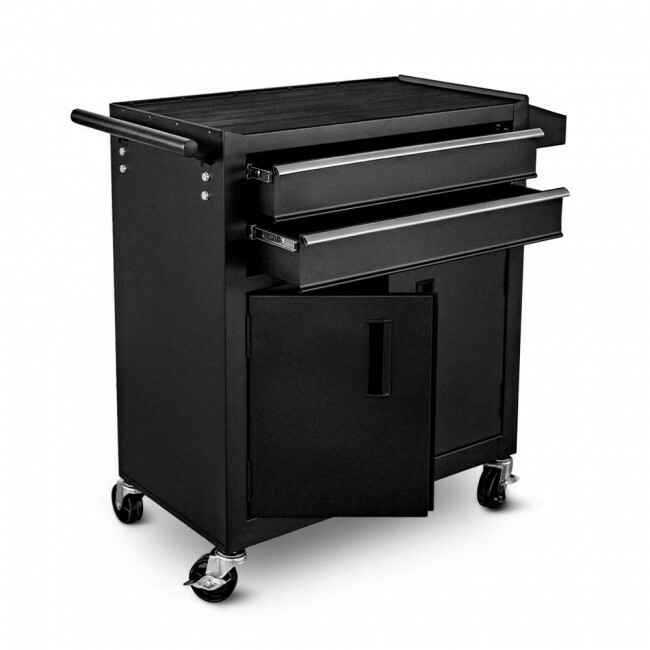 The trolley has a number of fine extras to make the most of your working area and to keep it organised. 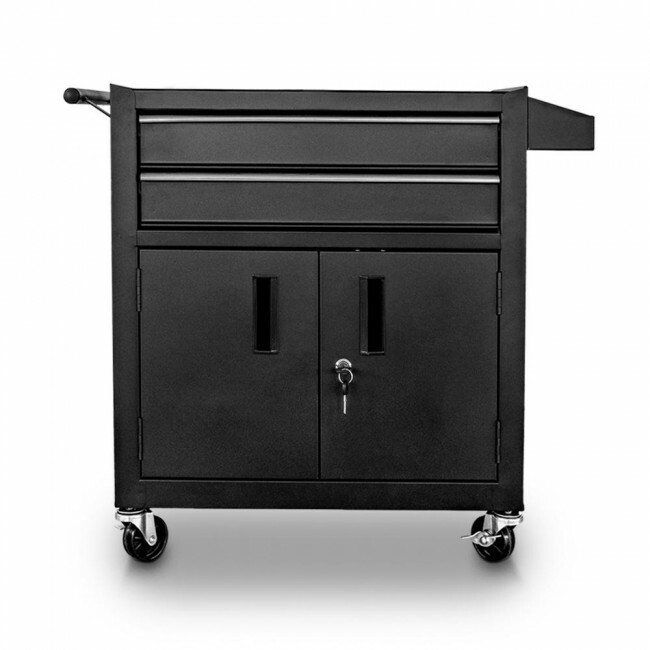 We have taken sufficient storage space into account by adding the two drawers and lockable cabinet. Extra add-ons are included for storing specific products at the sides of the cabinet. 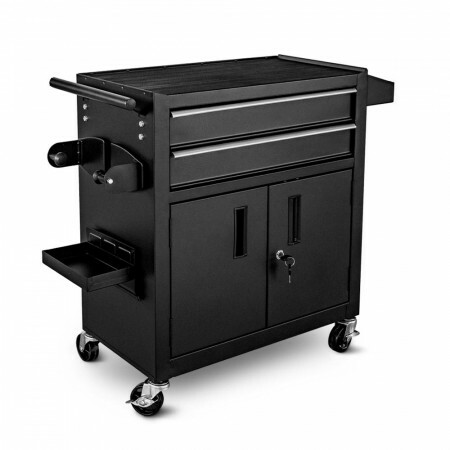 Read more about this unique work table and its extensive dimensions below. 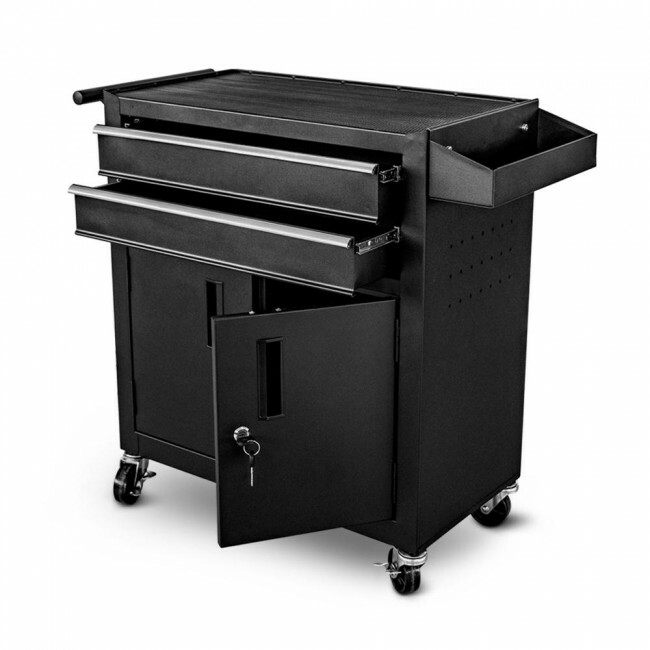 Are you looking for a compact but extensive work table for your studio? 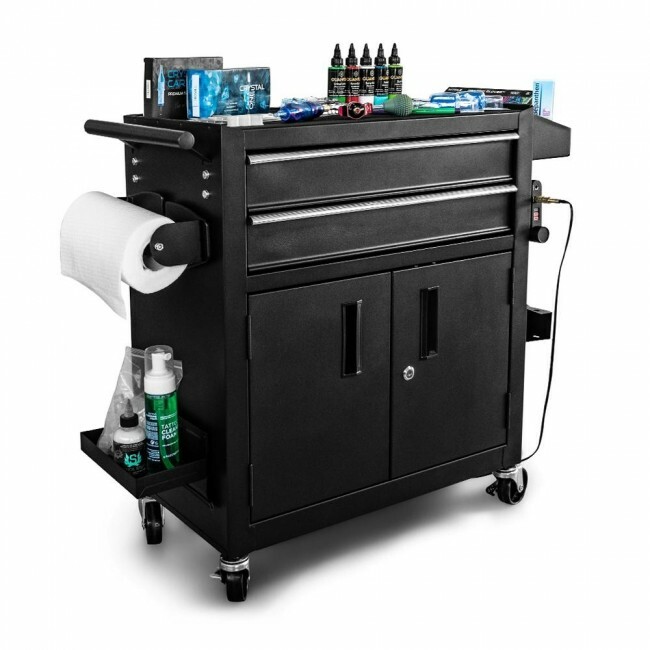 Our PRO workstation is mobile and has lockable swivel castors. On the left side of the cabinet is a handle and on the right is a compartment attached. 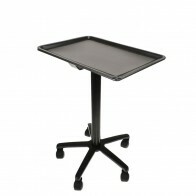 On top of the worktable is a removable rubber mat. Separate elements are supplied for neat storage of bottles, ink, paper rolls, machines, etc. These extra loose parts are attached with super strong magnets. 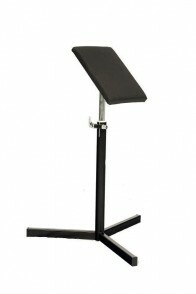 This allows you to determine the perfect location of the bottle holder, storage tray and paper roll holder yourself. 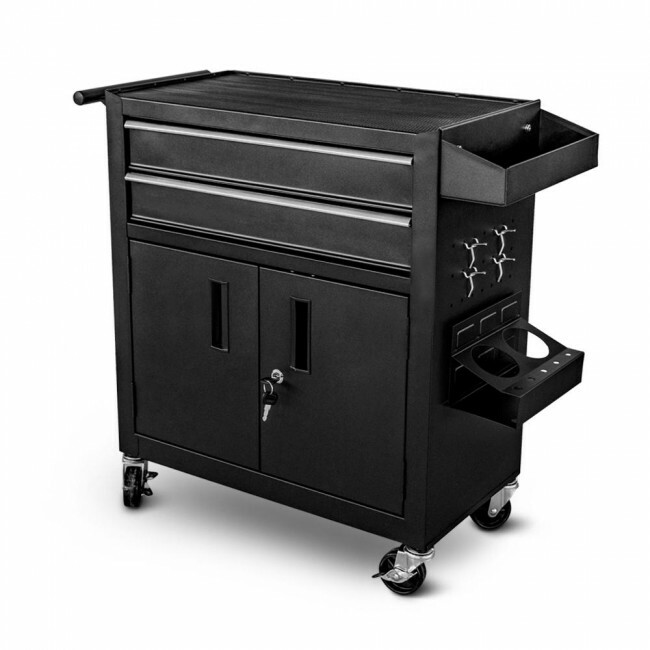 On the right side of the trolley, you can place the provided hooks in the openings and neatly store your machines and cables. In addition the cabinet has two drawers with a cabinet with 2 doors underneath, including a lock with key. On the left side of the cabinet is a wide handle to drive the station to the desired location. When you have placed the cabinet in a prominent location in your studio, easily lock the swivel castors in place and it’s ready for use!